Directions: Take two tablets (or 40 drops) of each product with both breakfast and supper. Follow the diet outlined in the included booklet. Dibasic calcium phosphate dihydrate, whey powder, croscarmellose sodium, microcrystalline cellulose, silicon dioxide, vegetable stearine, magnesium stearte (vegetable source). Dibasic calcium phosphate dihydrate, whey powder, acacia gum, croscarmellose sodium, magnesium stearte (vegetable source), stearic acid. Non-Medicinal Ingredients: Microcrystalline cellulose, croscarmellose sodium, magnesium stearte (vegetable source). Non-Medicinal Ingredients: Distilled water, 35% alcohol, 1:5. 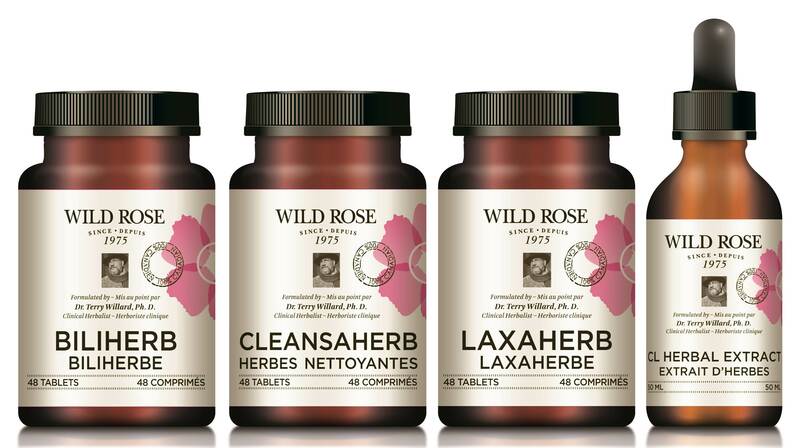 All Wild Rose vitamins and Herbal Formulas contain only the finest herbs and ingredients available. Contains no artificial preservatives, colour, flavouring, sucrose, wheat, soy, corn or yeast.